Muscle cars, vintage classics, and a whole lot of engine grunt? Sounds like our kind of event! There are heaps of Mecum Auctions coming up soon, and if you haven’t had a browse around the latest offerings for the rest of 2012 and early 2013, we suggest you jump to it – you won’t be disappointed! Not your average used car auctions. Mecum Auctions is a large family-run auctioneering company that holds annual series of auction events. 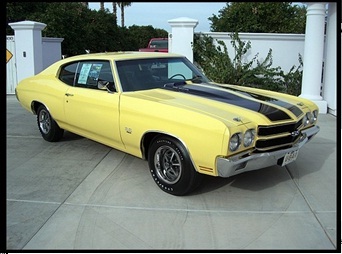 Established in 1988 by the Mecum family, they specialise in selling vintage muscle cars, collectible vehicles, boats, motorcycles and tractors, and the company has grown to be one of the most highly regarded muscle car auctioneers in the whole world. Just to give you some idea of the massive scale on which these events are held, some of the auction events in the larger cities can feature up to 1000 vehicles at a time, and more than 10,000 vehicles are auctioned off every year, from vintage Ford Mustangs to Chevrolets and Plymouths. Where and when are the Auction events held? There are five auction events happening around America for the rest of 2012 – Dallas on September 5-8, St Charles on October 25-27, Iowa on November 3, Anaheim on November 15-17, and Kansas City on December 6-8. Then, the events continue from early 2013, and they really are a must-do for anyone serious about everything to do with classic and muscle cars. What are some of your favourite auction events around the world?